The tomato is a fruit, not a vegetable. But we are taught from childhood to call it a vegetable. Why? Because it’s the law! Don’t believe it? Read on. The tomato is native to the mountains of Peru. The Incas were the first society to cultivate tomatoes, more than a thousand years ago. They had it to themselves, because for most of human history tomatoes did not exist outside of South America. The Incas traded their tomatoes with tribes to the north. Eventually, tomatoes reached the mighty Aztecs of Central Mexico. The Aztecs eagerly adopted the tomato and pushed it further north. The first European ever to taste a tomato was Cortes, in 1519, while he was destroying the Aztec Empire. 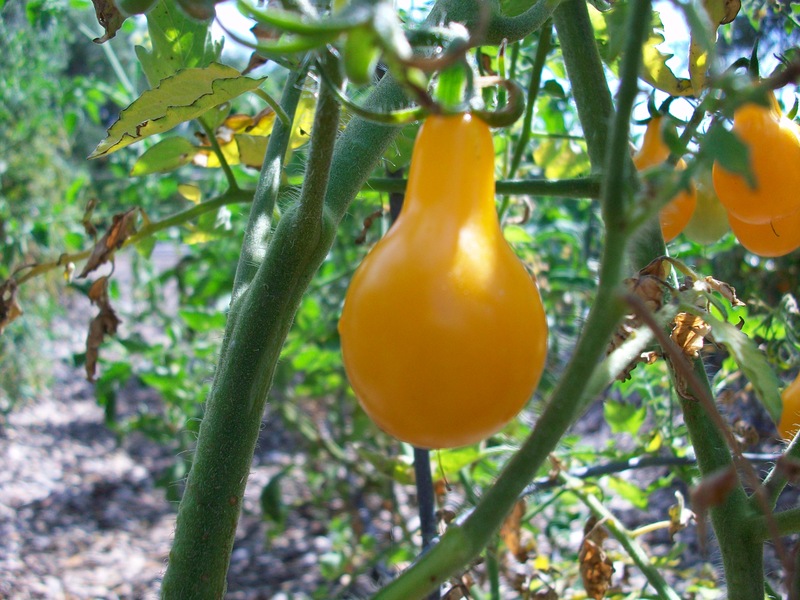 Cortez was delighted with the tomato and sent a plant back to the king of Spain. That hardy little plant introduced the tomato to the Old World. 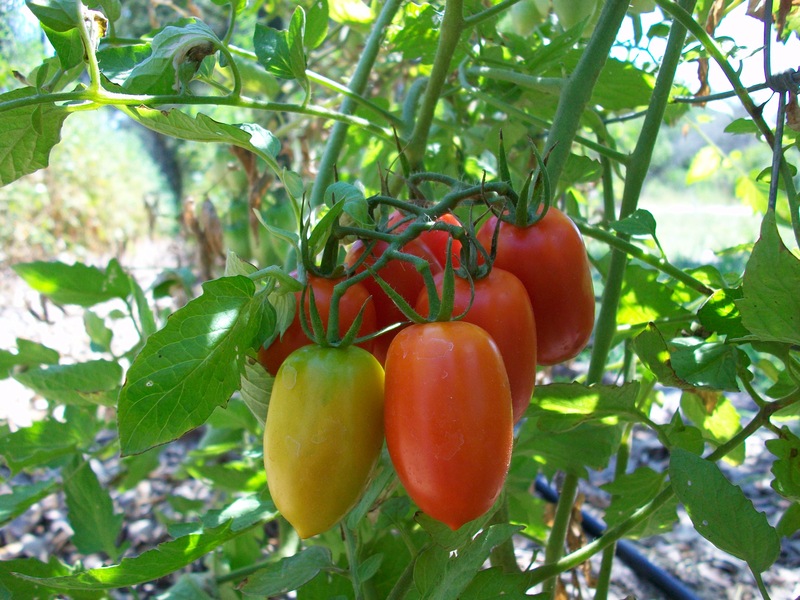 Of all the Aztec gold in the bottom of Spanish ships, the tomato was the most enduring treasure. Wolf Peach or Love Apple? The tomato quickly grew in popularity. It was carried along the Spice Route to the Middle East and Asia. By the late 1700’s, tomatoes were used in cooking throughout the world; everywhere, that is, except America. Ironically, back in the English Colonies of North America, tomatoes were thought to be highly poisonous. Thanks to Indian farmers, tomato plants literally grew wild. However, colonists cleared the dreaded tomato from their fields before they planted crops. They believed a tomato, if consumed, would bring rapid agonizing death. This fear inspired colonists to call the tomato a wolf peach. We think of Italians as the early innovators of tomato sauce; not so. The Incas and Aztecs brewed tomato sauce (with peppers and spices) some 500 years before the Italians. Italy received tomatoes from Spain, thanks to Cortez. The French also took the tomato from Spain. The French believed tomatoes were a red juicy aphrodisiac. They called them “love apples” and instantly fused the tomato into their cooking. The French, who need no excuse, will use any excuse. The French served tomatoes for breakfast, to set a tone of passion for the day. That is why, to this day, a French breakfast is bacon, croissant, and tomato. This amorous linkage caused the British to suppress the tomato. The perennially uptight British would not take any excuse for passion, especially at breakfast. Besides, England and France had been at war too long for the British to take a love apple. In the 1780’s, Thomas Jefferson was the American Ambassador to France. He was amazed to discover in Paris that tomatoes were not poisonous at all. Jefferson loved France and all things French. And he absolutely hated the British. What better way to honor the French, snub the British, and serve the American people, than to bring home the tomato? So, he re-introduced the tomato to America. Jefferson was a statesman, philosopher, and scientist. He was also one of the great farmers in American history. He planted tomatoes in his Monticello garden and mailed seeds to leading farmers across the United States. He promoted the tomato in America for the rest of his life. What Cortez took away, Jefferson brought home. 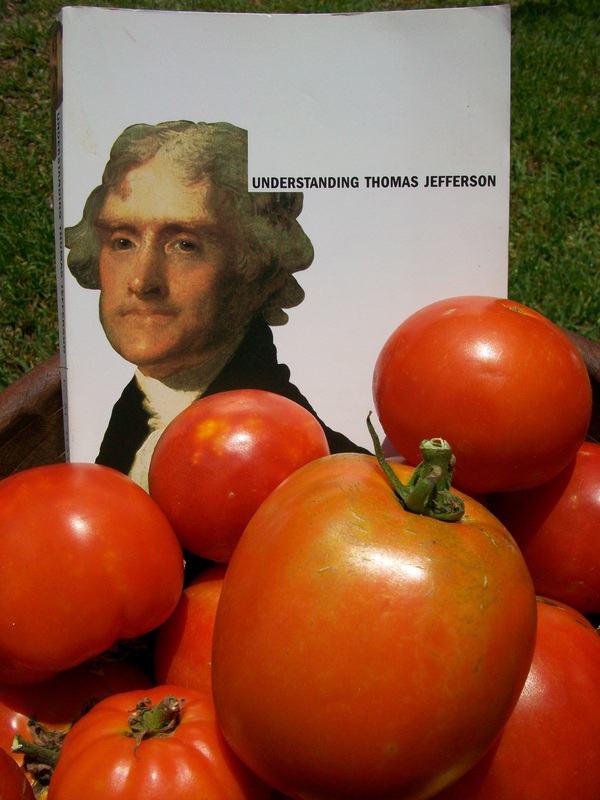 When Jefferson became president, he routinely served tomatoes in the White House. Americans at the table would marvel as the president consumed huge quantities of wolf peaches, and lived. Jefferson loved to tweak the British Ambassador; his rudeness to the ambassador was legendary. At the first state dinner for the British Ambassador, Jefferson answered the door in his pajamas! At dinner, Jefferson offered the ambassador’s wife a big, delicious love apple. And when she refused, he spoke at length about the sumptuous, voluptuous import from France! The ambassador wrote bitter complaining letters to King George about Jefferson. He simply couldn’t get over the bathrobe and the love apple. The outrage! The scandal! The Ambassador was eventually recalled. How can a simple farmer not appreciate Thomas Jefferson? Thanks largely to Jefferson’s private marketing campaign, tomatoes became very popular in the US. By the 1880’s, demand far outpaced US production, and tomato imports steadily increased. Ketchup and tomato soup (new foods to America) were becoming popular. Tomato sales soared. In the Tariff Act of 1883, Congress dramatically increased taxes on imported vegetables. President Chester Arthur supported these taxes to protect American business from foreign competition. However, due to special interest lobbyists, fruit was not taxed at all. 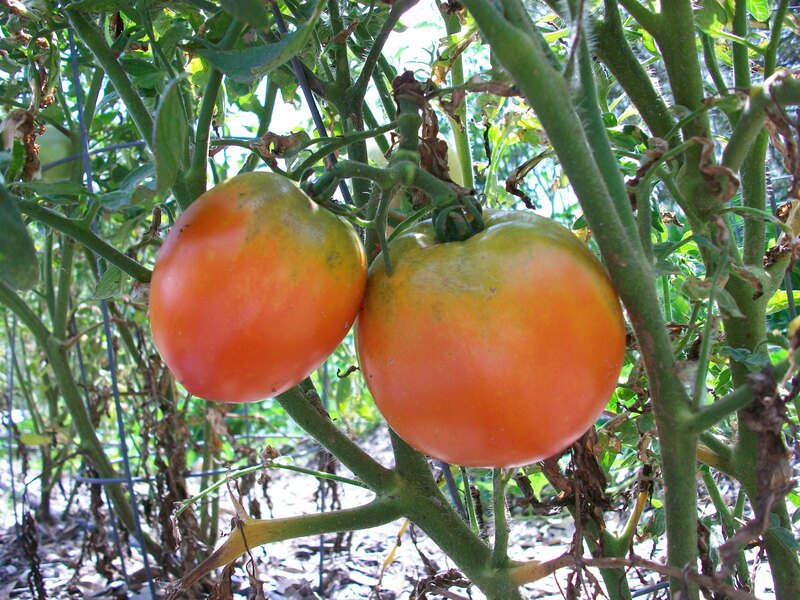 A tomato importer named John Nix classified his tomatoes as “fruit”, the appropriate botanical classification, to avoid the tax. The government insisted on collecting the tax anyway. Nix sued. The case went all the way to the Supreme Court. Believe it or not, the Court ruled that even though the tomato is in fact a fruit, for purposes of the tax it should be considered a vegetable! Goodbye love apple, hello tomato tax. That Supreme Court ruling is the reason we call the tomato a vegetable. It is the law of the land! The good news is that Chester Arthur’s tomato tax is history. However, Jefferson’s tomato is not. You may call them love apples. You may even call them wolf peaches. You only need to call Four String Farm to have them delivered. Honor your tomato tax freedom and order a tomato today! Go to fourstringfarm.com to make an order.